From the next Hakeem Olajuwon, it looks like the Philadelphia 76ers have landed something worse than Hasheem Thabeet and Greg Oden combined. 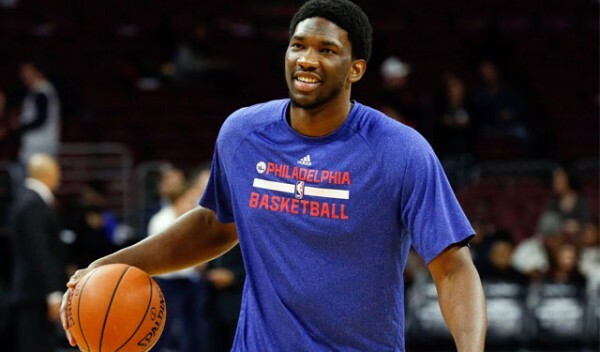 Joel Embiid is heading towards what looks like a second missed season. Will he ever even have a rookie campaign? Rumors circulating for a long time have been suggesting that Embiid, who missed the entire 2014-2015 season because of a broken navicular bone in his foot, is going to miss this season as well due to another surgery on the same foot. Embiid, the third overall pick in the 2014 draft, was the favorite to be taken number one overall before that injury. It was only the fear of his health that made him fall to third. The Sixers had already taken a “broken down” center in Nerlens Noel a year earlier, letting him miss the entire season, rehabbing and working on improving instead. He had a decent delayed rookie campaign, averaging 9.9 points and 8.1 rebounds per game, establishing himself as a very good defensive presence. The Sixers went after a big man in this draft as well. Jahlil Okafor, the third overall pick. Okafor, unlike Noel and Embiid, came with no injury scares, and has been looking pretty sharp in Summer League action. He should be productive right away in the NBA, but that’s not going to change the sorry state of affairs for the Sixers, whose “masterplan” is to hoard draft picks and hope they’re lucky to pick well. Besides that? They’re not making any moves for free agents or anything like that. Hinkie and the ownership backing him up (so far) don’t seem to be in any kind of rush to start winning more than 20 games a season. There’s a growing argument among 76ers fans and overall in the NBA over the usefulness of the tanking plan, and whether or not Hinkie is simply trying to get lucky and nothing else. With Embiid, they once again bet on potential of a big man who didn’t really do a whole lot in one year of college basketball. Noel might prove out to be a solid top 10 pick with a bright future ahead of him. Things look quite the opposite for Embiid and the franchise in general.